Is a Very Low Carb Ketogenic Diet (VLCKD) Safe? Posted bymacrofour February 12, 2017 February 12, 2017 Posted indietitians, ketogenic, PCOS, responsibility, safetyLeave a comment on Is a Very Low Carb Ketogenic Diet (VLCKD) Safe? macrofour on Nyungar Diabetes: Australian Dietary Genocide? PhilA on Nyungar Diabetes: Australian Dietary Genocide? 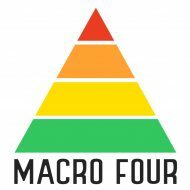 Macro Four, Proudly powered by WordPress. Subscribe to notifications about new posts. *You may unsubscribe at any time.